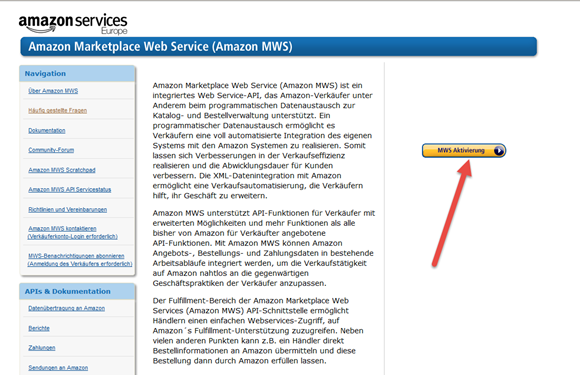 Click on the button MWS activation. 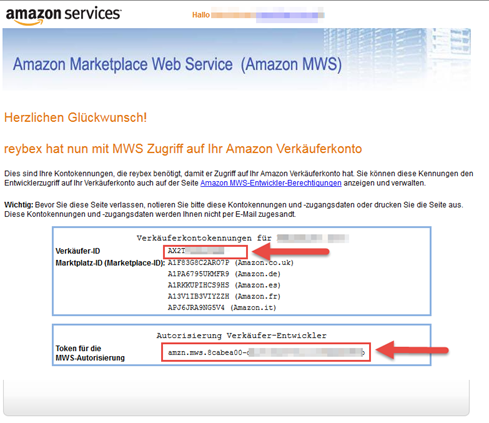 Type the username and password of your Amazon account. 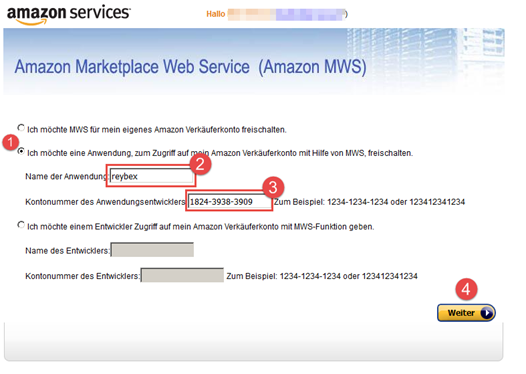 Authorize reybex to access your Amazon Shop. 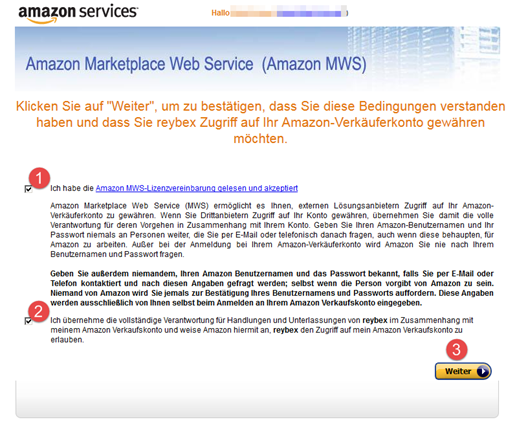 Accept the Amazon MWS license agreements. 1 & 2: Set the checkmark in the checkbox. In the next step your seller ID and the token for the VAT authorization is required. Click on Available Marketplaces and select Amazon. Enter an internal name for your Amazon shop. Enter the previously created seller ID. 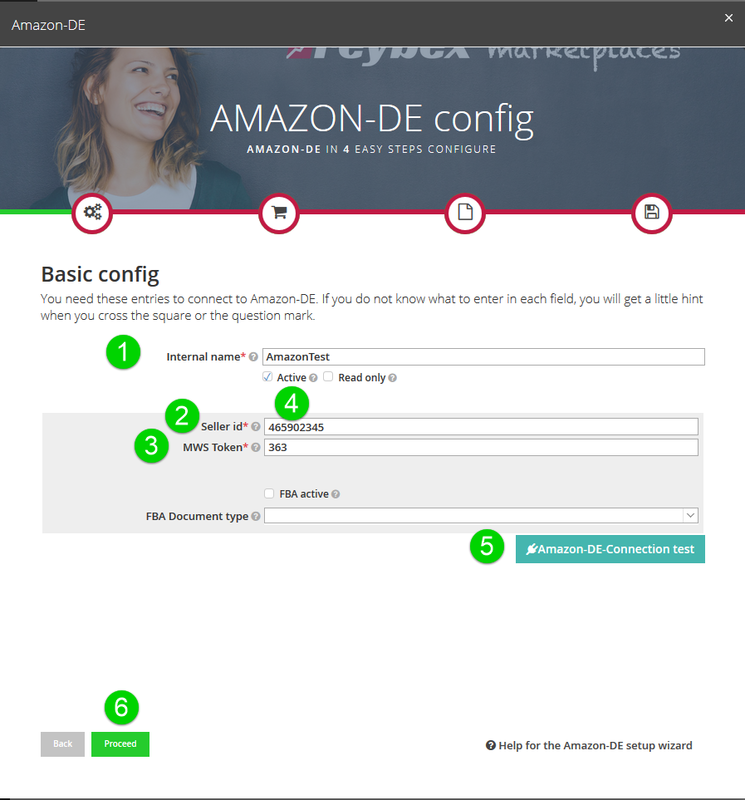 Click Amazon Connection test to see if reybex can connect to your Amazon account. Please note: If you enter your data via Copy&Paste, please make sure that you do not copy any spaces. This will cause errors in the connection to your Amazon seller account. Fill in the following forms. Keep on clicking on Proceed > click Finish in the final form. Please note: Article import directly from your Amazon account is impossible (Amazon restrictions). If you like to start an artikel data import to reybex, please read the article Article Import via Excel.